Imagine, and it shall be. In an alternate Imperialist Russia of 1825, the Tsar has been surrounded by threats from all sides. Facing the Ottoman Empire and the Kazakhs, he decides to begin the Crown’s Game – a fight to the death between Russia’s two enchanters, with the winner receiving the title of Imperial Enchanter, as well as their life. Enchanter One, Nikolai, has grown up in Saint Petersburg and is best friends with the Tsarevich, Pasha. He has ultimate control over mechanical objects. Enchanter Two, Vika, can manipulate and control the elements around her. When both Pasha and Nikolai find themselves falling for Vika, they both have decisions to make – can Pasha go against his Father’s and his country’s expectations by courting a mysterious girl who isn’t royalty? Can Nikolai save her life, only to condemn his own? Lately, all that I’ve been in the mood for is books that are set in Russia or inspired by Russian culture, so needless to say, The Crown’s Game was perfect for me in that aspect. I loved the setting – I’ve read a few novels set in Russia recently, but none from this time period. It was really interesting to see the beginnings of rebellion hinted at throughout the novel after Russia’s victory over Napoleon, and the Tsar failing to live up to his promises of equality to the common people. In the authors note, Evelyn Skye mentions that she has studied Russian culture and Slavic languages for years, and you can really tell – she pays attention to all of the little details, and I could easily picture the historical based world that she was building. I also liked the characters – Vika’s character was really interesting and I’m hoping to learn more of her back story in The Crown’s Heir. I loved Pasha – he was so feisty and adventurous, and I couldn’t help but be drawn to him. Nikolai was definitely my least favourite of the trio, and I do think that I would have connected with him a lot more if his story had been built on and he wasn’t so melancholy when it came to Vika; he often chastised Pasha for barely knowing her yet claiming to love her, yet he had had even less interactions with her and was claiming the exact same thing. Since the blurb of the book makes it clear that there will be a love triangle, I was expecting it, and it definitely wasn’t the worst love triangle I’ve ever seen (hello, Twilight). However, it was more of a love-square or something – Pasha and Nikolai are both after Vika, and a servant girl is also madly in love with Nikolai. I didn’t care much for either of Nikolai’s possible relationships, and if I had to pick a ship, it would definitely be Pasha and Vika who I’d want to end up together. Anyway, less on love, more on magic. This book truly was enchanting, and I loved watching the way that the competition played out between Vika and Nikolai. I loved how the magic was infused into what I assume to be average daily life in Saint Petersburg in 1825, and the way that the city was used in the magic. I was very surprised by the ending, but not in a bad way at all. I couldn’t say much about it without giving away the entire plot, but I will say, it is not typical of a YA ending, and I was so happy about that! So, onto the reasons why I knocked a few stars off my rating. Firstly, this book was very slow-paced. 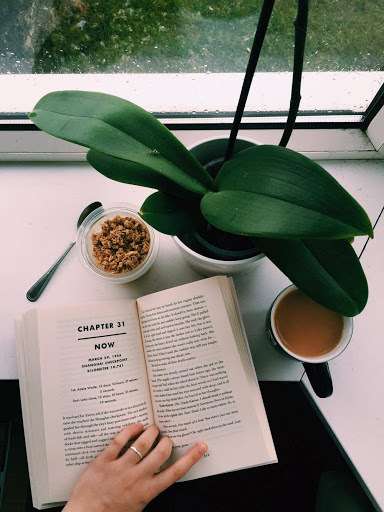 I’d find myself reading it, wondering when it would start to pick up from the initial slowness that many novels have, and realised I was already over halfway through. The pace didn’t ruin the book for me in any way, I just wasn’t expecting it. Secondly, the antagonist. I won’t say much about this to avoid spoilers, but I do think there was a missed opportunity here. There’s a character in the book that I thought would definitely end up being after revenge, but then they just didn’t really do anything? That might happen in the sequel, though. 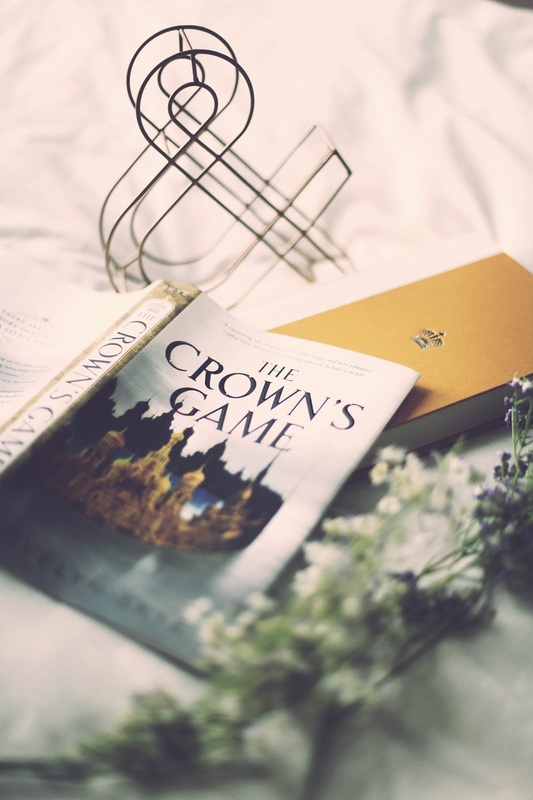 Overall, I really enjoyed The Crown’s Game – it was a lovely debut, with only a couple of small things that I would have liked to have been different, and I’m looking forward to reading the sequel. Have you read The Crown’s Game? Let us know what you thought of it in the comments! Thanks to NetGalley and Penguin Random House for the ARC! And I Darken was all I wanted it to be and more. It’s a deep, dark and unique alternate history novel, set in the Ottoman Empire of the 1400’s, just before the fall of Constantinople. 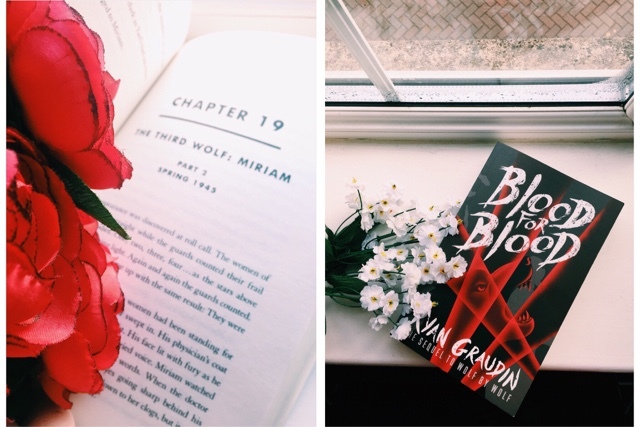 Kiersten White takes Vlad the Impaler and replaces him with Lada, Princess of Wallachia. Previously, I didn’t know much at all about this era in history, especially from an Eastern European perspective, so the setting of this book was so refreshing. It took facts from history and brought them to life with complex characters, political intrigue, wars, and intricate relationships. I absolutely loved Lada as a heroine, and the way that Kiersten White slotted her into the history of Wallachia and the Ottoman empire was flawless. The secondary characters – especially Lada’s brother, Radu, and Mehmed, the sultan’s son, also added so much to the story and I think the third person narrative worked so well in this book, as it meant that these characters thoughts and feelings weren’t overlooked. 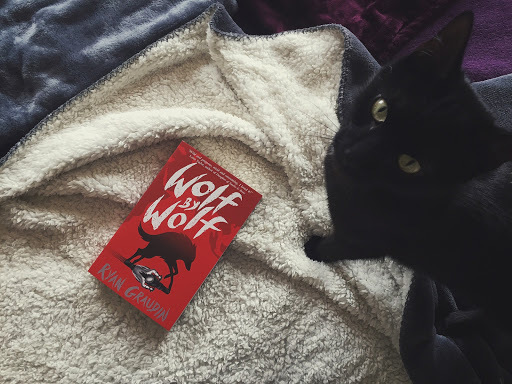 The plot constantly kept me on the edge of my seat with its twists and sudden revelations, as well as the culturally relevant issues that it presents throughout, such as the way that Lada is constantly overlooked by everyone just because she is a woman. 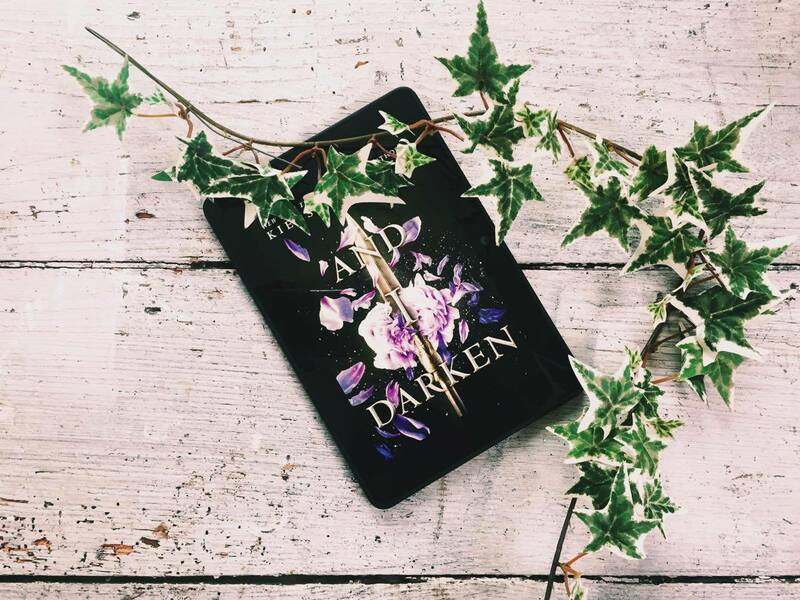 And I Darken is definitely one of my favourite books of this year so far – I loved it so much that, despite having the ARC on my kindle, I had to order the hardback today – and the only negative thing I can say about it is that I almost wish I hadn’t read it so fast, as now I have to wait even longer for the sequel!